In this session of Europan, we take the competition to Norwegian towns in rural areas and look at the effects of centralisation. In this regard, Europan 15 offers challenges at both territorial and local scales: Can young architects find solutions that contribute to a productive balance between urban and rural areas? 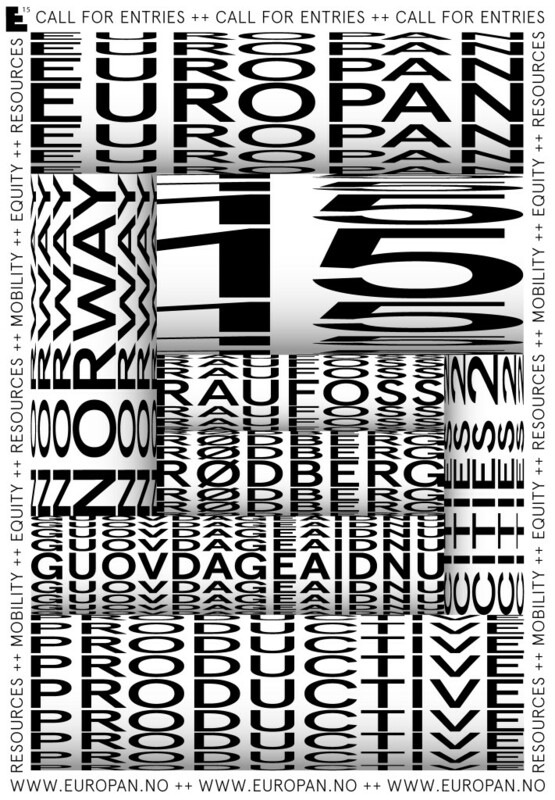 There are three Norwegian sites in Europan 15 which, each in their different ways, raise complex issues about the interaction between the rural and the urban, the local and the global. While the Norwegian sites are scattered throughout the whole country, they share some similarities. Each town inhabits a unique position in a network of relationships within collective knowledge, industries and ecosystems. Rivers and waterways are central landscape elements in all of this year’s project areas. Guovdageaidnu (Kautokeino) originated as a trading place in a bowl in the terrain, and the river was important both as infrastructure and livelihood. Raufoss would not have the leading industry it has today without the river which made it possible to produce electricity to operate the emergent factories. Rødberg is a significant supplier of hydropower to the common European market. Networks constitute a very important issue in Europan 15, as urban settlements have their unique advantages and challenges in this regard. In Rødberg, the architects are encouraged to investigate what the Kongsberg region’s expertise in driverless buses could imply for the development of Rødberg and its territory. Guovdageaidnu still harbours a nomadic culture linked to reindeer husbandry, while renewed with snowmobiles and drones; Guovdageaidnu is now fighting to reopen the airstrip to improve connections with other towns in Norway and Sápmi. In Raufoss, participants may investigate how new connections between the industry park and town can help create a vibrant urban ecosystem combining the high-tech with the people-oriented while exploring the river as a connective element. As architects, you should enter the competition with an open mind for resources available on the sites. By creating new links between existing on-site resource elements, something new may be formed. For Guovdageaidnu, it is essential that the architects recognise that reindeer husbandry, which employs over 370 man-years, is closely linked to vulnerable nature that is strongly under pressure from other forces. In Rødberg, the competition participants may propose concepts that strengthen the primary industries throughout the area of Numedal. Raufoss represents manufacturing excellence with a hyper-modern, but gated, industrial park, producing space rockets in a town in the middle of a fixed agricultural territory. Raufoss is the only site this year anticipating population growth in the near future, making it necessary to build a denser town to accommodate greater numbers without expanding outwards onto arable land. The densification effort starts in the core of Raufoss, on the project site; the municipality expects to be presented with ideas for vibrant social public spaces as a starting point for this scheme. As of now, the high-tech milieu of the manufacturing industry is not mirrored in the town centre of Raufoss, which lacks activity, public amenities and places for people to socialise. Rødberg is on the brink of becoming an outpost in the mountainous regions of southern Norway. Still, the inhabitants have everything, in their own way: The farming community is vital, the quality of the natural surroundings attract a flux of thousands of second home dwellers, and the digital knowledge networks in the Kongsberg region result in concepts such as ‘the green corridor’ which runs through Numedal. What’s lacking is ideas or how to activate the town centre. This comes down to introducing attractive programmes, well-functioning public spaces and an improved flow of movement, both within the town itself and in the wider context. Guovdageaidnu is ‘the heart of Sápmi’, home to the indigenous Sámi people. Guovdageaidnu is important to the world as a stronghold of Sámi language and culture; the inhabitants fight to reorganise and enhance the role of the place as a linguistic bastion. The town is a melting pot for global competence in education, reindeer herding and creative industries. The Siida is a Sámi concept for organising both social and productive activities. While the concept itself is ancient, it may be reimagined for Europan 15. Situated near the Arctic, Guovdageaidnu is also a place where climate change is clearly noticeable. For Europan 15, we have commissioned ‘Voices of Guovdageaidnu,’ a reader made by the community itself, to provide a better understanding of the place and culture. For the Norwegian sites, the backdrop of the competition is the ongoing restructuring of municipalities and counties, and how the urban areas participating in the competition can position themselves for the future. How can urban settlements become, and remain, attractive meeting places and locations for innovative industries? How can rural towns step up in order to keep their valued inhabitants around, rather than losing them to the pull of bigger cities? Keeping an eye on the themes of resources, mobility and social capital, the competitors need to work within the context of each site to examine new forms of mobility and connectivity, while keeping in mind how designing public space can contribute to value creation both socially and economically. All the municipalities of Europan 15 have an element of necessity as a driver for hosting the competition. Demographic changes, new demands for education and expertise and the struggle for natural resources are all challenges which the municipalities have to face in a shrewd manner. We are delighted that you have chosen to participate in Europan 15 with one of the Norwegian sites as your case. We look forward to a multitude of contributions and wish you the best of luck in the competition!